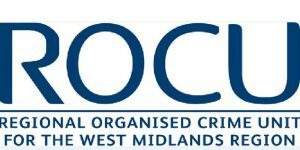 Regional Orgainised Crime Unit West Midlands (ROCUWM) working in partnership with the National Cyber Security Centre (NCSC) will be running a bespoke briefing session on Tuesday 19th February 2019. This will take place in the Birmingham City Centre with a venue to be confirmed once interested parties have been confirmed. This location will be no more than 10 minute walk from either one of the three Birmingham City Centre train stations. Timing will be between 09:30 and 13:30 hours with one hour lunch, provided by hosts. The aim of the session will be a demonstration of a brand new exercising product which has been commissioned by the NCSC initially for the Small and Medium Enterprise (SME) community and Local Government (LG). The product is a complete package of exercise advice, scenarios and supporting material that will provide your organisation with everything it needs to run and facilitate exercises from start to finish. It can also be used by non-cyber specialist staff. NCSC has built this product to address a gap in the SME and local government field, as they recognise that “Exercising” is one of the most powerful approaches that a company can undertake to gauge it’s resilience to be able to manage cyber-attacks and to raise cyber maturity. To date, the ability for SMEs and LG to test themselves has often been difficult due to costs or complexity. This tool addresses those concerns and will be provided to you on the day. It really is a unique innovation and an opportunity for you to be one of the first who gets to trial the product before it is launched. All we ask is for your feedback to help us improve this for the SME and LG communities going forward. Please note when attending, you will need a form of photograph identification. Birmingham City Centre, Near to Snow Hill Train Station – Location will be confirmed within formal Invitation.